More than a month before we hit the road for Cebu, my wife and I had received the finest gift every couple wishes to have. That was why a first timer in Cebu opted the laid-back Camotes Islands over the adventurous destinations of the province, the islands' lax environs might help in her recovery from the life-sucking delivery without her missing the less thrilling island activities. 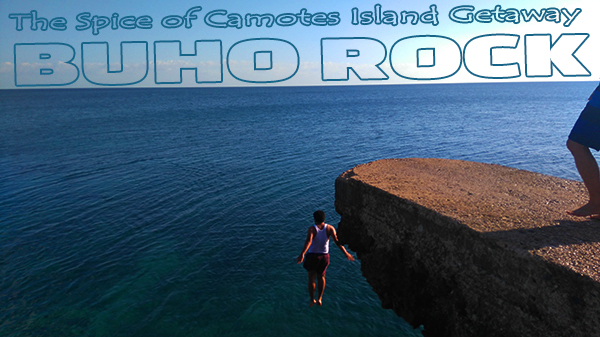 But Camotes Islands was more than just lying all day at the beach or going on a carefree nature trip. One activity considered a must-do when visiting the islands gives off an experience that is truly and literally breathtaking. A popular spot in the island of Poro was a former private resort facility, abandoned as a story says, and now maintained by the local government. 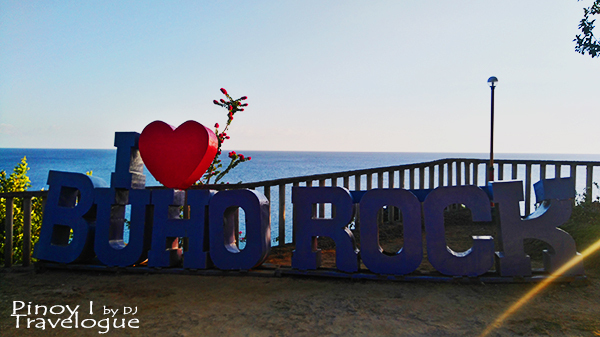 Buho Rock Resort draws tourists with its unique coral rock formation shaped like a ship docked on a cliff. Upon this naturally formed ship-like structure, an exhilarating feat could be undertaken. Upon entry to the resort, well-trimmed Buho Rock garden and typical resort facilities like native cottages, sits and tables, and a wading pool welcome its visitors. Reaching the ship-like rock formation was somehow challenging as one needs to walk a long, steep flight of winding concrete stairs. Upon the rock formation, a couple of concrete slides directly leading down the open sea and podiums for diving were constructed. 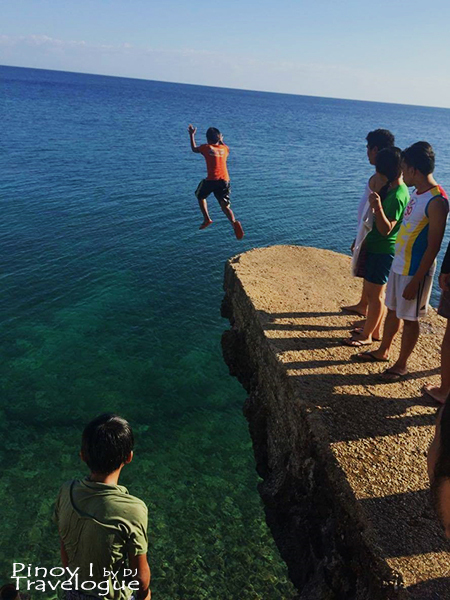 I fancied diving from cliffs when I first tried to jump from a boulder along a river bank near Calinawan Cave in Tanay, so I was filled with enthusiasm when we arrived at the gates of the resort. When I finally stepped upon the popular rock formation, the enthusiasm transformed into a huge confidence knowing that the podium I would be diving from was only 10 feet high, just about twice the height of that boulder in Tanay. But when I stood at the edge of the podium, I came under open-water anxiety attack and that confidence turned into heebie-jeebies. Buho Rock Resort does not provide life jackets for daring souls but still, diving from the rock has been non-swimmer-friendly. Some locals who seemed to be the resort lifeguards watchfully wait for divers below, ready to pull them up after the courageous jump, escorted them back to the nearby shore which is neck-deep when the tide is low, and helped them climb up a makeshift ladder with boardshort-tearing gap between steps. In case resort guests were still a bundle of nerves despite the assurance of safety, local lifeguards were polite enough to jump with them so as for the guests not to miss the blast. Resort visitors could dive in their heart's desire countless times for free. Buho Rock has two platforms for diving, the ten-foot high where I took the feat and the other scary one said to be towering at about 40 to 50 feet. However, leaping from the latter was prohibited since the tide was low. 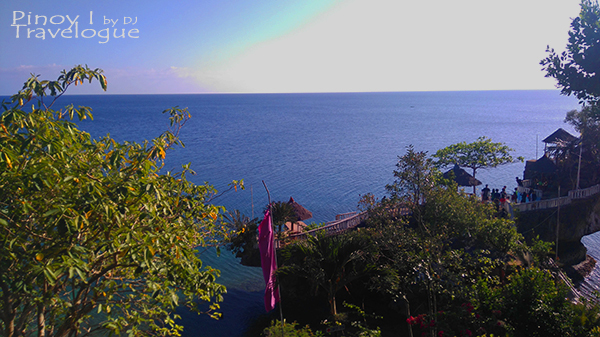 Buho Rock Resort was also perfect for snorkeling, swimming, picnic with family or barkada, and for exploring the sea with the naked eye. 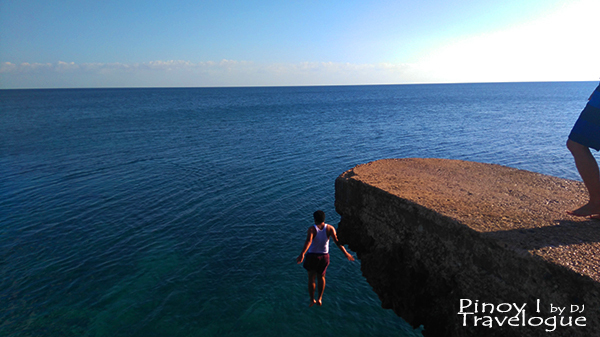 But cliff diving was a never-to-miss that even my wife, with the doctor's advice, took a literally heart-stopping leap for the first time.